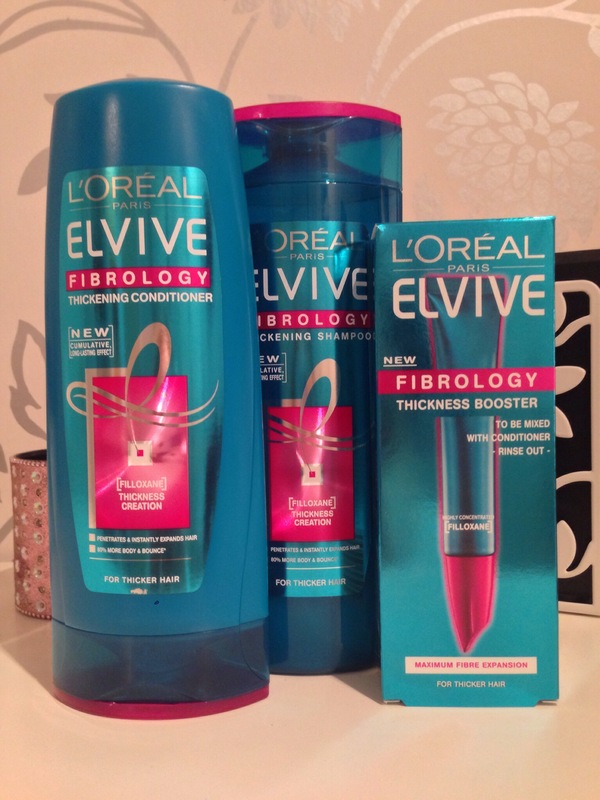 Review: Loreal Elvive Fibrology Thickening Range – The Beauty Spot. Back to it…! 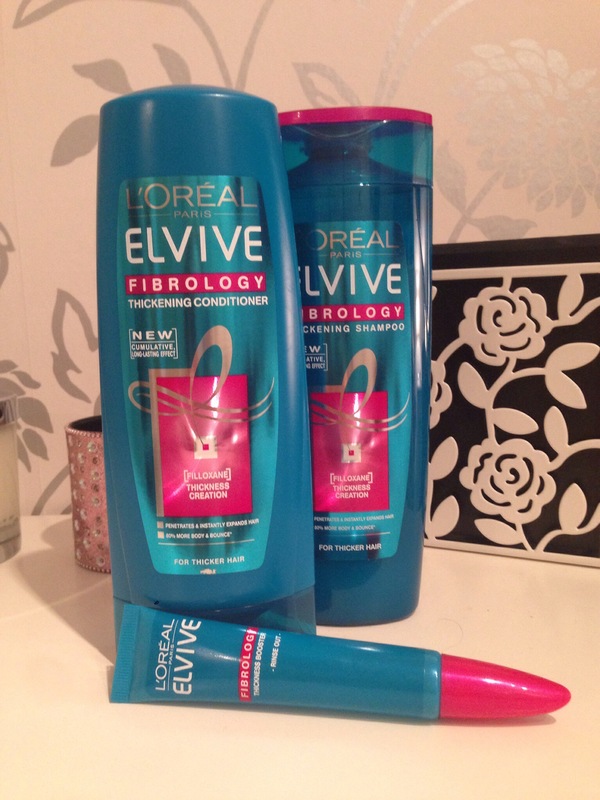 The Loreal Elvive Fibrology Range created quite a buzz in the blog world when it was launched earlier this year, and I was totally one of those people that had to try it! The science behind this range is pretty convincing; 17 years of research and 8 years of testing and 1 patent show that a lot of work has gone into creating this range. As was mentioned in many posts at the launch of the range, the key ingredient is filloxane, which directly penetrate the hair fibre and increased the diameter of the hair from within. Sounds amazing! I have been using the three products for around 6 -8 weeks as my only shampoo and conditioner, and have been adding in the serum every so often to boost the effects of the conditioner. I have to say the packaging of the serum is very annoying. Trying to unscrew the top whilst you already have a handful of conditioner and the trying to distribute it, mix it and reattach the top, is a real fiddle. One that annoyed me so much that I didn’t use the serum for about 3 weeks! As for the products themselves, the shampoo and conditioner felt extremely rich. I liked using the shampoo, it foamed quite well and really felt like it was intensely cleaning my hair and I often felt like I didn’t need a second wash. The conditioner however, felt thick, but it didn’t seem to soften my hair much. I’m not sure why but it didn’t feel like my hair was being ‘conditioned’. It was really hard to get a wide toothed comb through it. The main thing that I have to say is that, unfortunately, I don’t feel I’ve noticed my hair getting thicker. I really wanted this range to work as I really love thick luscious locks, but it just didn’t seem to do anything for me. I’m not at all saying that any of the research is incorrect, because products like this couldn’t be sold if the research wasn’t sound, but it just didn’t seem to work for me.